Peter Tristram 09/10. Peter Tristram 03/11. 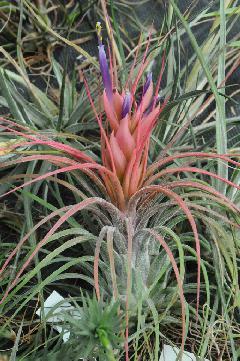 (09/10) "All ionantha lovers will love T. delicata (Holm). 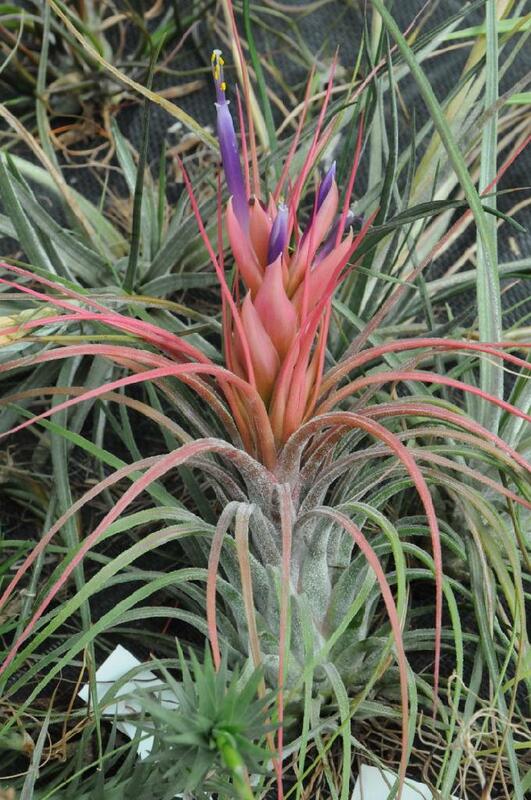 It is double the size of v. maxima and a stunner whether in bloom or not. 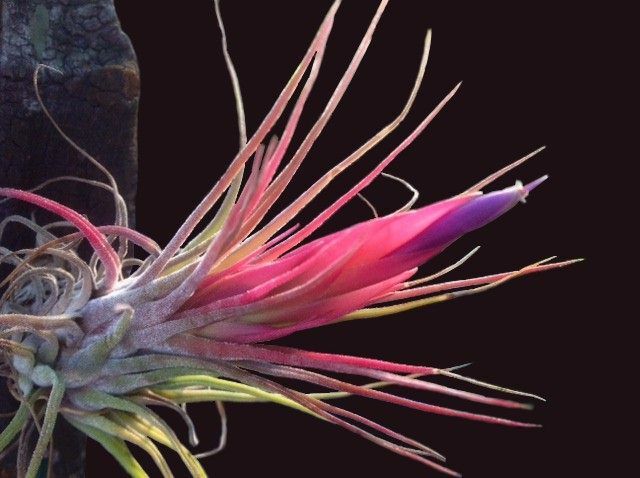 I was lucky enough to bloom this one and another earlier in the year and there are 4 seed pods." (03/11) This one (ex Lotte H.) is very similar to the Holm one I posted a pic of a year ago but the spike is completely imbricate and maybe slightly shorter. It does not quite fit the description either, such as the length of the spike being shorter than the rosette. 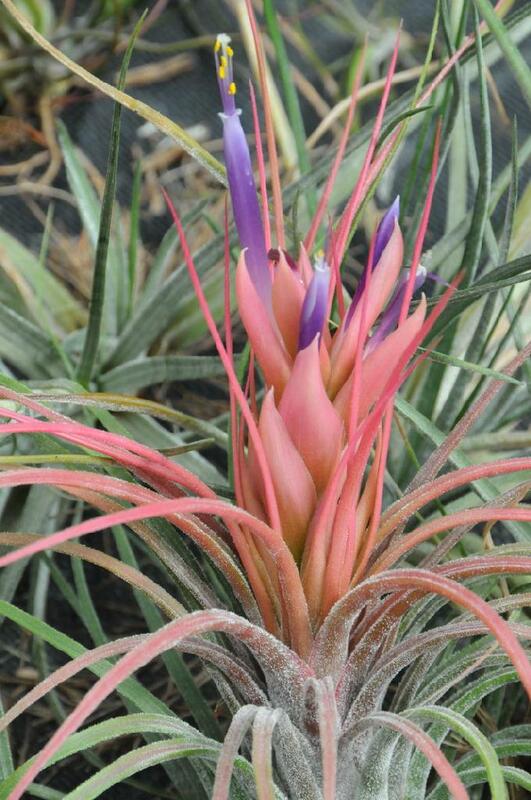 Maybe some clones have longer leaves than others? I wish I had another in bloom to pollinate as I sure doubt it would self. 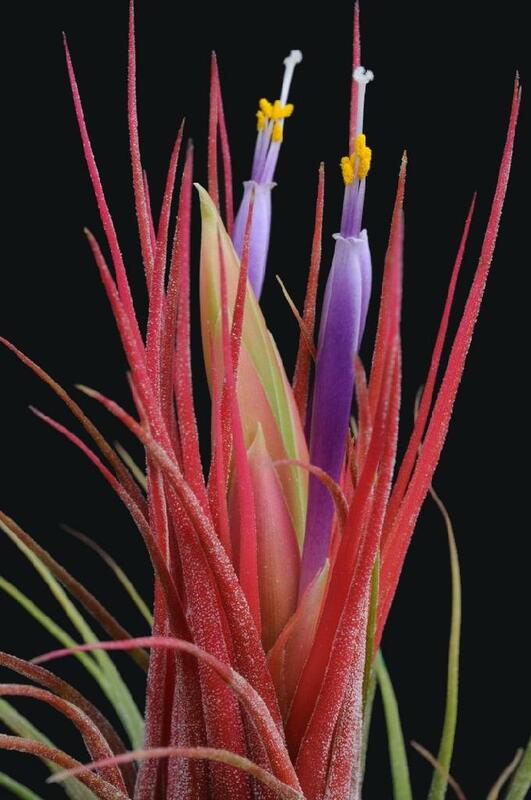 I grow them fairly shady now and they are doing well, but fairly slow compared to ionantha. 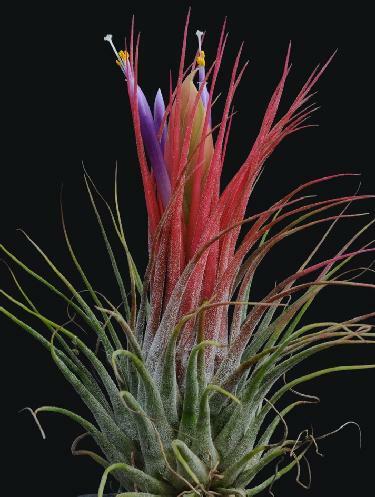 I’m not sure if it’d do that well in Cairns though, being a mid altitude cloud forest plant. 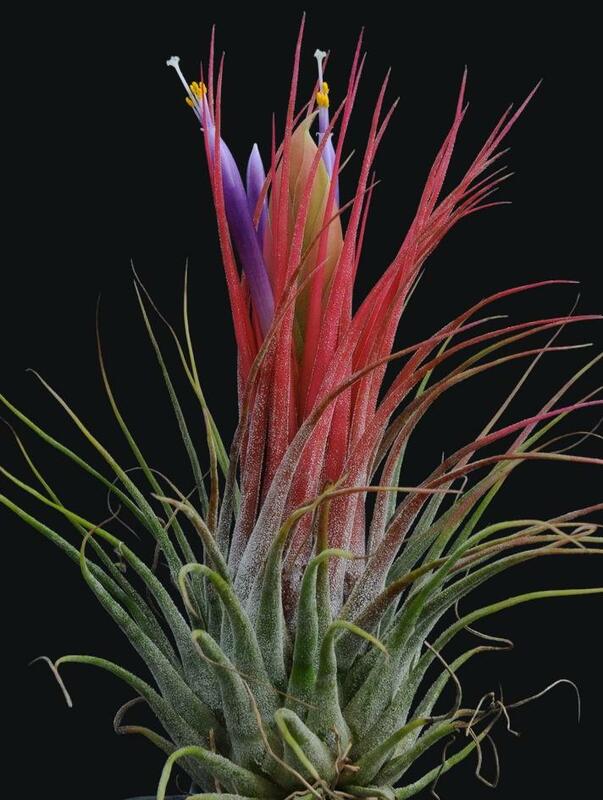 Maybe a cross of it with ionantha would be a goer..."